Are you interested in a certain look or characteristic for your flooring? Hardwood flooring is a significant investment, and even high-quality wood floors can take a beating over time. 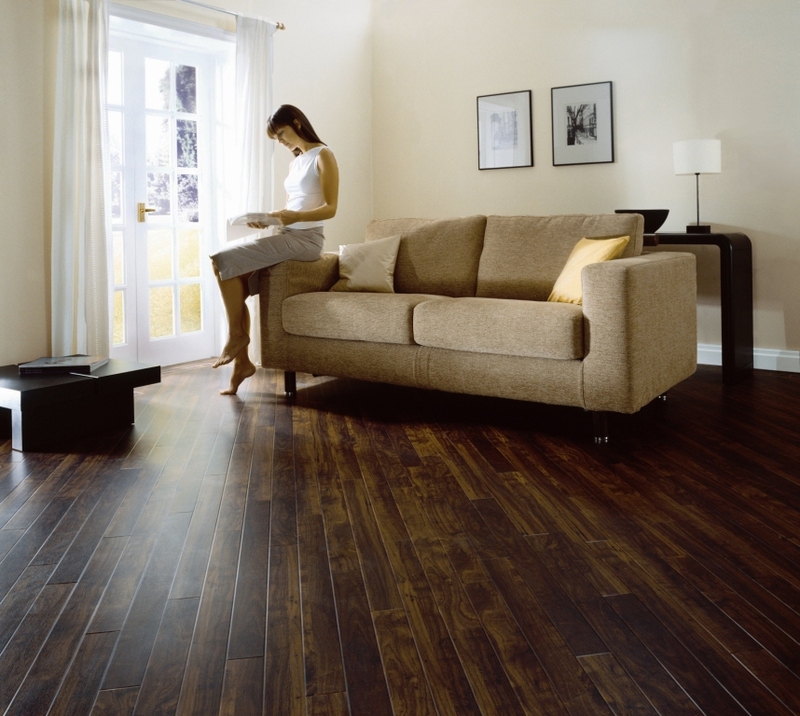 Solid hardwood has always been the standard for beauty and durability for home flooring. Contrary to some expectations, engineered hardwood is real wood. It is a “sandwich” of 1/16″ to 1/8″ of finished wood on top and non-finished plywood. We sell affordable hardwood floors along with a variety of other flooring material such as Bamboo, Laminate, Vinyl, Cork, Carpet, Area Rugs and Runners. We are dedicated to delivering first class hardwood floors while providing an exceptional customer experience. There’s no right or wrong answer when choosing your favorite flooring and therefore we work hard to ensure you achieve the perfect look for the space you are designing. We have the tools and skills to install your new wood flooring in a detailed, meticulous fashion. We believe a hardwood floor to be the canvas for which you will create the room’s overall design. We make sure you understand all the options and help you make the right choices. Hardwood flooring has been the preferred flooring option for decades. We can help you through the process and make sure you get not only the proper flooring for your home but the flooring you really want. Decor Floors is fully licensed and insured, and our staff works hard to get jobs completed promptly. Give us a call to discuss your next hardwood flooring project.